The new 4K digital restoration of David O. Selznick's blockbusting MGM Civil War romance Gone With The Wind, released to mark the centenary of star Vivien Leigh's birth, is magnificent and successfully restores the film to its full Technicolor glory. Seeing this hard-wearing classic on the big screen with a new lick of paint enables you to experience anew the meticulous costume and set design by Walter Plunkett, William Cameron Menzies and Lyle Wheeler and reacquaint yourself with the lavish scale of this truly epic production. It's positively dizzying, for instance, when director Victor Fleming has his camera rear up over Atlanta, the city devastated by Yankee cannon fire, before pulling back to reveal more and more wounded Confederate soldiers laid out in agony across its main street, zooming out until the shot finally takes in well over a hundred extras. Selznick's famous publicity stunt, in which he sent out talent scouts across the southern states and auditioned the entire female population of Hollywood in search of the ideal leading lady, testing everyone from Joan Crawford to Lana Turner in the process, certainly paid off when it ended with Leigh (although, really, this largely unknown British actress had friends in high places: her lover, Laurence Olivier, and, more to the point, his agent, one Myron Selznick). 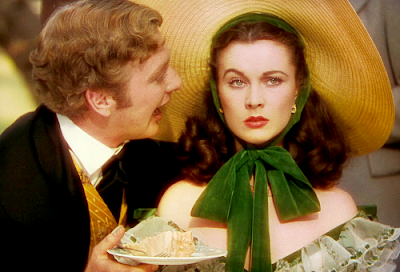 Leigh's performance as the hot-headed, spoilt but surprisingly resilient Scarlett O'Hara continued to get laughs in the screening I saw, although the audience ultimately became exasperated with her obsessive pursuit of Leslie Howard's insipid Ashley Wilkes, especially after the much more appealing Rhett Butler (Clark Gable) had finally talked her into marriage. Legendary British film critic Dilys Powell always insisted that Gone With The Wind was overblown rubbish and that Gable was the only good thing in it, but I can't agree: although the man oozes star quality, Leigh is also superb and develops a marvelous double act with Hattie McDaniel as her long-suffering maid Mammy, the latter an expert straightwoman and as deserving of her groundbreaking Oscar as Leigh. Olivia De Haviland is also a major asset, her saintly Melanie Hamilton a much more vital part than I'd remembered and one supremely well played. You also get Thomas Mitchell for your money playing his usual red-faced Irishman, Ward Bond as his usual affable captain, future TV Superman George Reeves as one of Scarlett's suitors plus enjoyable turns from Harry Davenport, Jane Darwell and Ona Munson, to name just a few of the extraordinary supporting cast. Tiresomely, debates about the film's depiction of black servants and field slaves have been reignited (largely by lazy journalists desperate to fill column inches) in response to this festive re-release, which might otherwise have been cause for unbridled celebration. A film whose opening titles announce it as a piece nostalgic for the Antebellum South, apparently a golden age of chivalry where black cotton pickers were unanimously happy in their work and well treated by their masters, was always going to be a sitting duck for modern naysayers. John Patterson of The Guardian is one such, but he is at least right to condemn other American films of the period, notably High Sierra and Sullivan's Travels (both 1941), for the racist clowning they include. 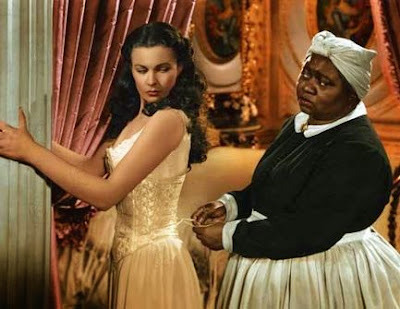 Audiences today may well snigger at the repeated use of the word "darkies" in Gone With The Wind and find Butterfly McQueen's shrill performance as Scarlett's maid Prissy unpalatable, but overall the presentation of black characters is highly positive, if patronising. Mammy, Prissy and Pork (Oscar Poke) are treated with warmth throughout and fleshed out into plausible human beings, much more than the cowardly, bug-eyed comic relief we've been offered elsewhere. 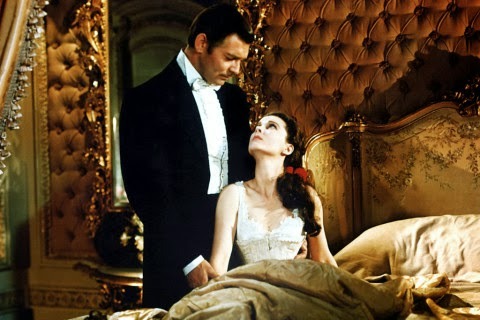 A racist film would also have no use for the scenes in which Rhett speaks admiringly of Mammy and jokingly flirts with her about her new red petticoat or in which Big Sam (Everett Brown) heroically races to Scarlett's rescue when her buggy is held up by predatory carpet baggers. Scarlett is even allowed to openly criticise Ashley for his pre-war ownership of slaves at one point. As Patterson concedes, Selznick's production deserves credit for addressing the question of race at all in the unenlightened times in which it was made. Its whitewashing of the realities behind slavery is unfortunate but hardly unexpected given its vintage and a long way from D.W. Griffith glorifying the Ku Klux Klan in Birth Of A Nation (1915). Expressing disdain on the grounds that Gone With The Wind is not a bold war cry for the Civil Rights Movement seems to me to miss the point entirely and expect too much from a commercial mass-market love story made to sell cinema tickets in the 1930s. Why not put this unsavoury issue to bed and simply immerse yourself in one of the finest spectacles Hollywood has ever put before the public?